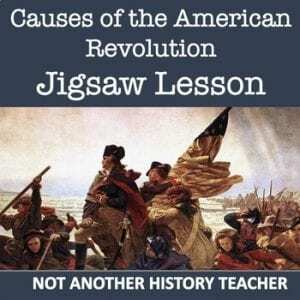 This is a jigsaw lesson on the causes of the American revolution. It is a graphic organizer with reasons and reactions from the American and British perspective. I put my students into groups they read a short reading about their assigned cause, complete the assigned section on the chart, and then teach the class about their topic. This assignment was created in Word and can easily be adapted and modified for your classroom. 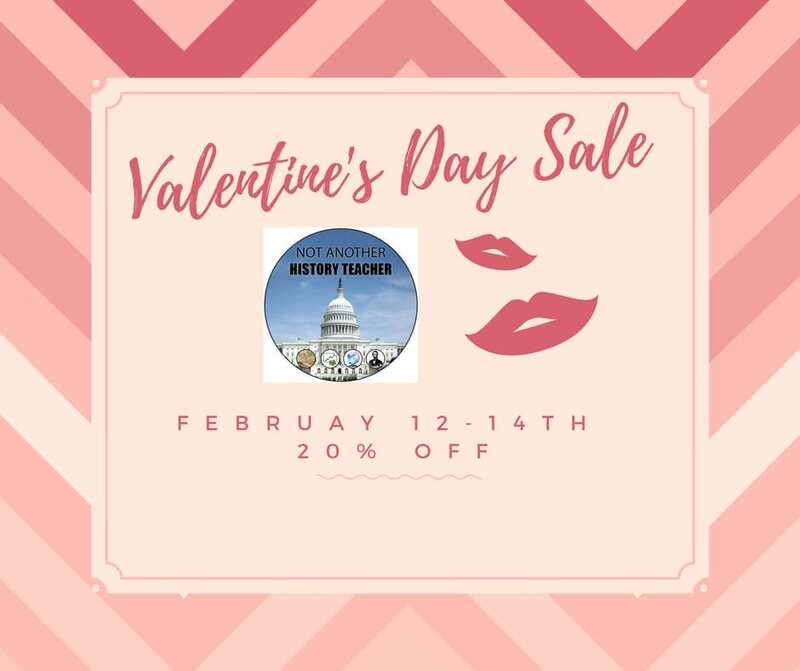 Teachers pay teachers site wide sale! 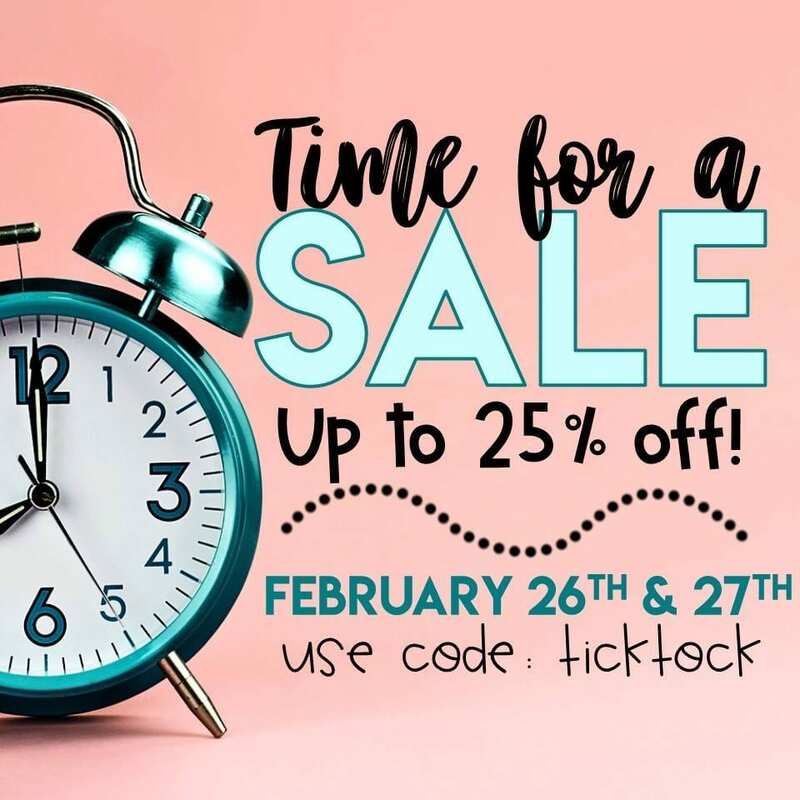 25% off February 26 and 27th Happy shopping !!! One of my favorite units to teach about is World War II. I love showing how the US was able to enter the war and how the effects of the war are still very much present today. I love teaching with this World War II homefront stations lesson. With this fast 55 minute lesson kids are engaged in a variety of resources on the US homefront from rationing to women entering the workforce, to Japanese discrimination to African American enfranchisement. My kids ask for stations since the class period seems so different. They are engaged in primary sources, World War II posters, and videos on the homefront in one class day if you are teaching a survey course it is very helpful. The World War II Escape Room will take students on a secret mission around the classroom! This escape room has students decode interesting facts about World War II. 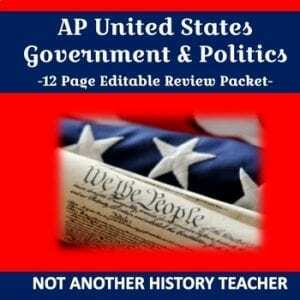 This is the perfect resource to introduce or review FDR, Pearl Harbor, Hitler and the Holocaust. The World War II Escape Room has students walking around the classroom breaking codes. Students are given a secret code name and sent on a secret mission to restore Anne Frank’s Diary. The codes include ciphers, Morse code, cryptograms and a final 4 digit code based on the decoders/clues. These World War II sensory figures can be printed in black and white or color, and the set includes the seven most prominent leaders of World War 2. A sensory figure is a drawing of a historical, living, or fictional figure with first-person descriptions of what they might have thought, seen, heard, touched, said, felt, or otherwise experienced during their lifetime. Students “show what they know” about the figure by writing 1-2 sentence descriptions for their figure’s thoughts, feelings, and actions. After writing the descriptions, students connect them to the part of the body to which it most closely relates. For example, a feeling might be connected to the heart. The descriptions should be specific to the historical figure’s life, not generic statements that could apply to anyone. Students should be encouraged to address several topics in their descriptions instead of repeating information. This World War II Documentary activity allows each student to become an expert on one topic from WWII. They create a 2 minute video clip with footage and voice-overs to explain the topic. All clips are then combined into one large documentary that covers World War II. In this resource, you receive the project sheet, participation and overall rubrics, suggested topic sheet, and research graphic organizer. I am not a fan of military history so I teach the battles using this two page handout about the key turning points of WWII in a graphic organizer. Students can complete this with the internet or with a textbook. It is a nice review of a unit or reinforcement of key concepts. Here are some wonderful resources that are free!!! 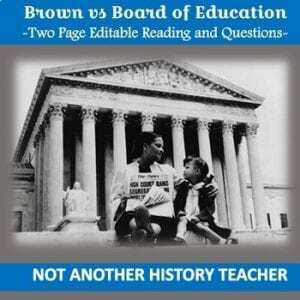 This is a two page reading and questions about Brown vs. Board of Education. This would make a great reinforcement activity, substitute plans, or homework. This was designed in Word and is fully editable. You can use it as is or modify it if you want! 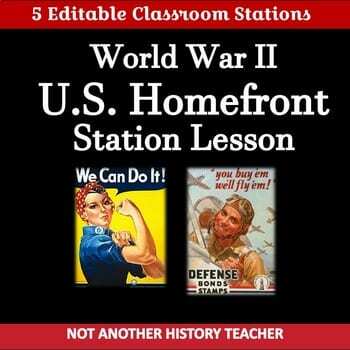 This is the World War II Home-front 5 stations lesson. 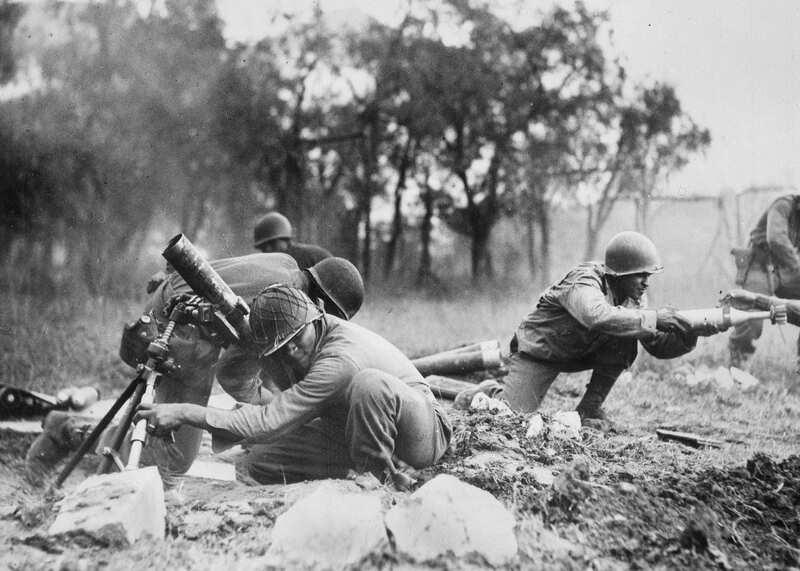 This lesson has tons of images, primary documents, graphics, and details about life on the home-front during World War II. There is a handout provided that students carry around and complete at each station, which is clearly labeled to keep them organized. This is a print and use stations lesson! No need to modify unless you want to 🙂 The class period goes so fast with stations! This is one of my favorite lessons! 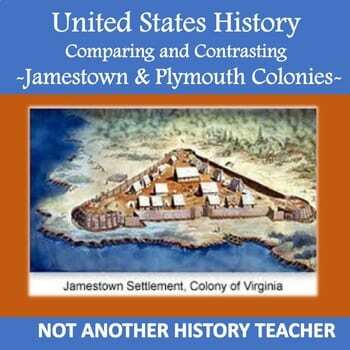 This is a one page graphic organizer word document with a two page reading comparing and contrasting the Jamestown and Plymouth Colonies. I typically give half my class one colony and the other half the other colony. They read the attached reading and complete half the chart and then we share aloud with the class. You can also pair share the activity. This makes for a really nice supplemental lesson, substitute plans, or homework. Whether it is called the Civil War, the War between the States, the War of the Rebellion, or the War for Southern Independence, the events of the years 1861–1865 were some of the most traumatic in the nation’s history. The Civil War Causes stations lesson is a perfect lesson to teach all the causes of the Civil war in one 50 minute class period. I have my students spend 6-8 minutes a station. There is also an extra two page homework assignment if they finish a station early. Stations lesson includes coloring, notes, cartoons, video, and primary documents. The Battles of the Civil War Scavenger Hunt can be used as an introduction or review activity. You can use the Battles of the Civil War as task cards, a scavenger hunt or both. Students will learn about Civil War leaders like Ulysses S. Grant, Robert E. Lee, Abraham Lincoln, George Meade and many others. The Scavenger Hunt is designed so that students must visit each of the ten Civil War Fact Cards at least two times! That means they have to read the small passage or skim for details twice! Students will use non-fiction social studies content to practice reading skills, improve fluency and reading comprehension. Also included are 10 ideas for how to use task cards! The possibilities are endless for this cross-curriculum activity! This engaging activity covers the following Battles of the Civil War: Fort Sumter, Bull Run, Ironclads, Shiloh, Antietam, Fredericksburg, Chancellorsville, Vicksburg, Gettysburg and Spotsylvania. Here is a wonderful video on the Gettysburg Address. It’s short and right to the point. It is the perfect video for teaching about the Gettysburg Address. Civil War Music is a wonderful way to teach about the Civil War from the Library of Congress. This political parties and issues web-search lesson is a full 55 minute class period to complete. I’ve also done it in 42 minutes and had them write the activity # 3 response for homework. 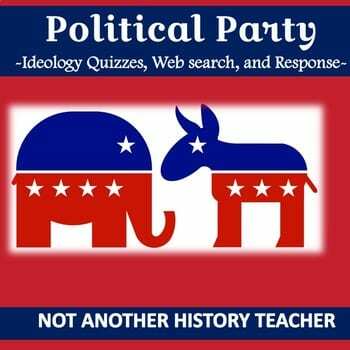 For this lesson students will research the most important issues that face our nation, research the solutions that various political parties provide for these issues, decide which political party best matches their personal philosophies, and ultimately decide which political party they will register with. Note: They need access to a device with internet for this lesson. Activity #2 Go to a website and pick four issues they feel strongly about and explain why these issues are important. Activity # 3: Write a 1-2 paragraph description of which political party they closely associate with (in class or for homework). 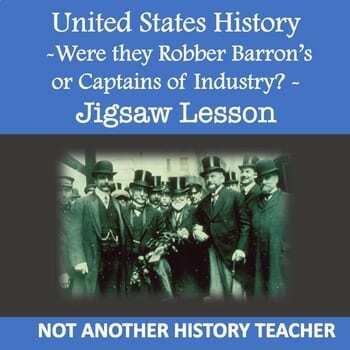 This is a jigsaw lesson to compare and contrast big business tycoons to Andrew Carnegie, J.P. Morgan, John D. Rockefeller, Cornelius Vanderbilt, and Henry Ford. 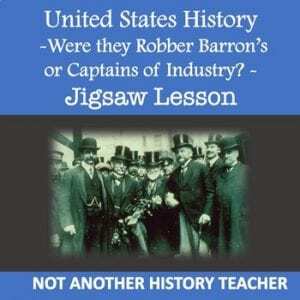 Students need to decide if they are robber barons or captains of industry. There is a graphic organizer and four readings to compare and contrast. This lesson makes for a really good group activity to do as a jigsaw lesson or easy sub plans if you are absent! This was designed in Word and can be easily modified and adapted to your classroom. This is an amazing lesson where your students can work in groups to compare credit card offers. There is a one page Word handout with credit card questions your group can complete together or individually. My students enjoyed the lesson and really “got” the concept of comparing credit card rates and reading the fine print on credit card statements. You can edit the Word document to make it just right for your classroom. Note: You will need to print the credit card offers from the internet or collect them in the mail to go with this lesson. 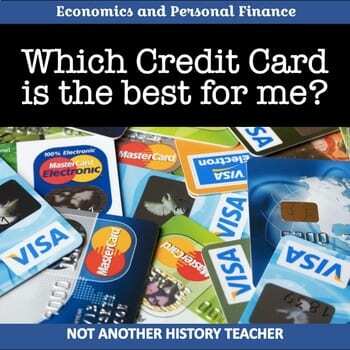 Or your students can go to http://www.creditcards.com/ to complete the lesson using a device. This is a simple 1 page review that is graphically very appealing for the most essential information in EVERY chapter in AP Government. There are TWELVE -1 page review sheets. This would be a great supplement to do for AP review or to include as you learn each unit to make a study guide for the AP exam in May. This packet is a word format so you can edit it or use as is. 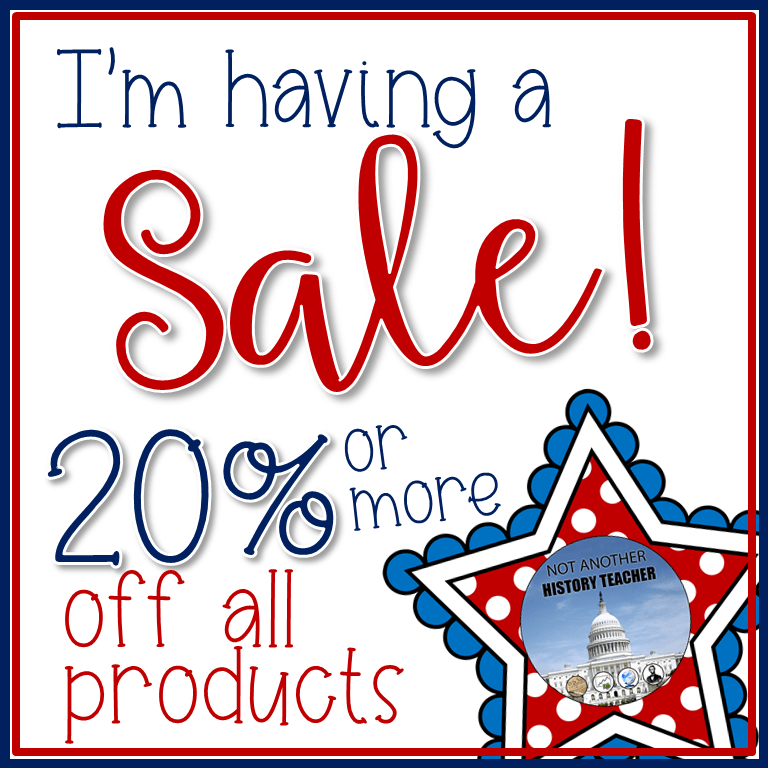 I am having a sale on Teacher’s Pay Teacher’s on all products from January 14th- January 16th for the new semester. Thanks for your support. 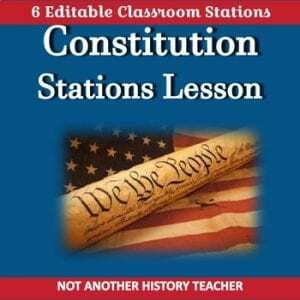 This United States Constitution stations lesson is broken into six different activities. There is a handout provided that students carry around and complete at each station, which is clearly labeled to keep them organized. This lesson is designed in Word and can be adapted to fit your classroom. This is a print and use stations lesson! No need to modify unless you want to 🙂 The class period goes so fast with stations! ⇒ I highly suggest printing the station handouts on different colored paper and put them in folders to keep them organized so every year you have them ready to go! ⇒ I give my student’s 6 minutes a station with a minute passing time to complete a 45 minute class period, with a few extra minutes at the end of the lesson to discuss the main ideas from the lesson. 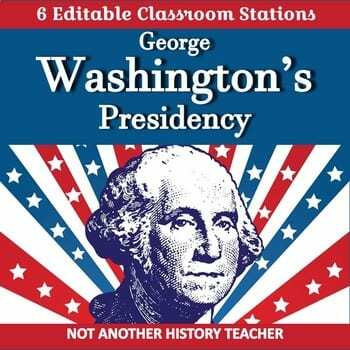 This is a complete 50 minute 6 station lesson on George Washington’s Presidency. There is a handout provided that students carry around and complete at each station, which is clearly labeled to keep them organized. This lesson is designed in Word and can be adapted to fit your classroom. This is a print and use stations lesson! No need to modify unless you want to 🙂 The class period goes so fast with stations! ⇒ I give my student’s 8 minutes a station with a minute passing time to complete a 50 minute class period, with a few extra minutes at the end of the lesson to discuss the main ideas from the lesson.